Congolese club TP Mazembe and Tunisians CS Sfaxien need one point each this weekend to top the Champions League groups and avoid each other in the semi-finals. Each side has 10 points and a plus-three goal difference from five mini-league outings and both tackle their nearest rivals and fellow last-four qualifiers during the final round of group matches. Mazembe are away to fellow Congolese side AS Vita Club in Kinshasa having won the first meeting 1-0 through a goal from Tanzanian Mbwana Samata in Lubumbashi. Security will be a major concern ahead of the derby as 15 spectators were crushed to death three months ago when the clubs last met in the capital city. Sfaxien hold a one-point advantage over Algerian visitors Entente Setif, the only unbeaten team left this season in the premier African club competition. The Tunisians will be particularly wary of Setif marksman El-Hedi Belameiri, the joint leading Champions League scorer this year with six goals. One of those goals came when the clubs clashed in May with Ali Maaloul levelling for Sfaxien in first-half stoppage time to force a 1-1 stalemate. Draws will suffice four-time African champions Mazembe and 2006 Champions League runners-up Sfaxien for different reasons. Mazembe would finish level on 11 points with Vita, but stay top on head-to-head records having won narrowly at home. Sfaxien would finish one point above Setif, who have won five qualifying and group games and drawn the other four. Another similarity between Mazembe and Sfaxien is that they are guided by coaches hoping to become the second from France to win the African Champions League. Bertrand Marchand succeeded with Etoile Sahel seven seasons ago, guiding the Tunisians to a stunning 3-1 away triumph over hotly-fancied Egyptians Al Ahly after a goalless first leg. Philippe Troussier, popularly known in Africa as the 'white witchdoctor', succeeded out-of-contract Hamadi Daou at Sfaxien after the third round of matches and delivered instant success. A Mohamed Ali Moncer goal brought victory over fellow Tunisians Esperance and Ferjani Sassi was the match-winner against Libyans Al Ahli Benghazi in another solitary-goal success. Mazembe are coached by Patrice Carteron, who joined the southern Congolese club after taking Mali to third place at the 2013 Africa Cup of Nations in South Africa. 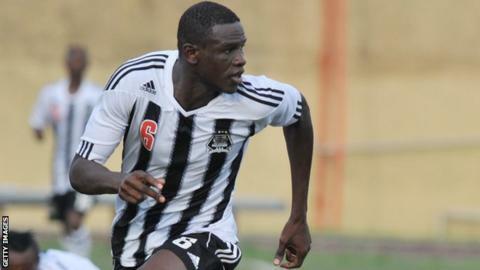 He came tantalisingly close to African club glory last year with Mazembe as Sfaxien scored in the final minute of the second leg to win the second-tier Confederation Cup. Only pride was at stake in the Group A fixture on Friday night where Sudanese club Al Hilal beat Egyptians Zamalek 2-1 in Omdurman. Mohammed Bashir put Al Hilal ahead with Mostafa Fathi hitting an equaliser for Zamalek. Al Hilal then grabbed a winner seven minutes from time through Bakri Abdel-Kader. Pride is also at stake in the other weekend fixture between Esperance and Benghazi in Tunis. Khaled Ben Yahia will become the third coach in six group games for Esperance with two losses each costing Dutchman Ruud Krol and Frenchman Sebastien Desabre their jobs.